Choose smoke alarms that have the label of a recognized testing laboratory. Install smoke alarms inside each bedroom, outside each sleeping area and on every level of the home, including the basement. On areas and levels without bedrooms, install alarms in the living room or near a stairway. Always check the manufacturer’s instructions for proper method of testing your smoke detector and fire alarm. Even though smoke detectors have a life span of 10-years, you should replace a smoke detector after the 10-year period or earlier, depending on the manufacturer’s instructions. (The beeping sound is a sign you need to change your battery). Mount smoke alarms high on walls or ceilings (remember, smoke rises). 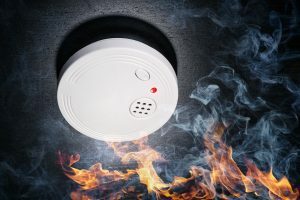 Homeowners and enforcement authorities should identify that detection needs have changed over the years and take the necessary steps to ensure that every home has a sufficient capacity of smoke alarms. Installing smoke alarms can be a great way to help keep your family safe and taking a few minutes to check them regularly can help guarantee they’re working accurately. It is never too early to be prepared. With hurricane season upon us, homeowners are starting to wonder whether they should install a generator to save them from chaos and stress. You may still want to collect and store hurricane supplies, including large amounts of water, canned foods or extra flashlights and batteries but if you have a home generator installed, it could provide you power during any power outage. When choosing a generator, the decision is between a small portable type that you can plug an extension cord into just to power a few essential appliances like a refrigerator or freezer, or have the portable generator connect by use of a twist-lock cord into a receptacle that back-feeds power into your main circuit panel or a small generator ready subpanel. That requires lockout hardware that disconnects your panel from the utility main so no generator power back feeds into the grid. The other option is to use a permanently installed pad-mounted generator that connects to your home through an automatic transfer panel. It is important to determine your generator plug type and amperage. A small generator is about 6,000-8,000 watt and can often power most household appliances. However, to determine what kind of power your home needs you need to ask yourself several questions: whether you have an electric, heat pump or gas heating system; and if your hot water heater is electric or gas. This will determine if you need a larger size of generator to cover your needs. Any option you choose requires the use of a transfer switch mechanism. There are two forms of transfer switches: manual transfer switch and automatic transfer switch. We can help you decide the type of installation that will meet your needs and budget. As we have learned in the last few years, generators come in handy during hurricane season or whenever there is a storm that causes you to lose power. But due to the safety issues and maintenance, you want a qualified electrician to hook up your generator. It’s certainly something we can help with. As many of you know, I am a member of the Gainesville Community Band, having played with the band for a number of years. We perform seven concerts during the year, and while it’s hard to say which my favorite is, one may stand out above all the others – Fanfare and Fireworks. Maybe because it’s a great celebration of our country but with the added fireworks and other aspect of the event, it becomes bigger than a concert. This year Fanfare and Fireworks takes place on Tuesday night, July 3 at the UF band shell at Flavet Field. It will run from 7 p.m. to 10 p.m. and I will be playing the trumpet with the band at 9 p.m. It will be an hour-long concert that people will enjoy while watching the beautiful fireworks. Another reason this is among my favorite Gainesville Community Band events is it reminds me of my days as an undergraduate music major at UF in the early 1970s. And I’m not alone in liking this event. Since its inception it has attracted an audience of about 20,000 people each year. The event is presented by WUFT-TV and WUFT-FM and supported by the city of Gainesville, Florida Credit Union and GRU. Glenn Richards, WUFT-FM morning edition host, will be emceeing the event and other musical groups like Bears and Lions and Billy Buchanan and his Rock ‘n Soul Revue will also perform. I invite you to come to celebrate our independence and to support your favorite electrician when he and his trumpet help deliver great music while you enjoy the fireworks show. While power outages and blackouts can happen at any moment during the year, there may be no better time to think about whether you are prepared than June – the beginning of the hurricane season. And you may not even be considering this but the most important items on your checklist should be flashlights and an ample supply of the right kind of batteries. 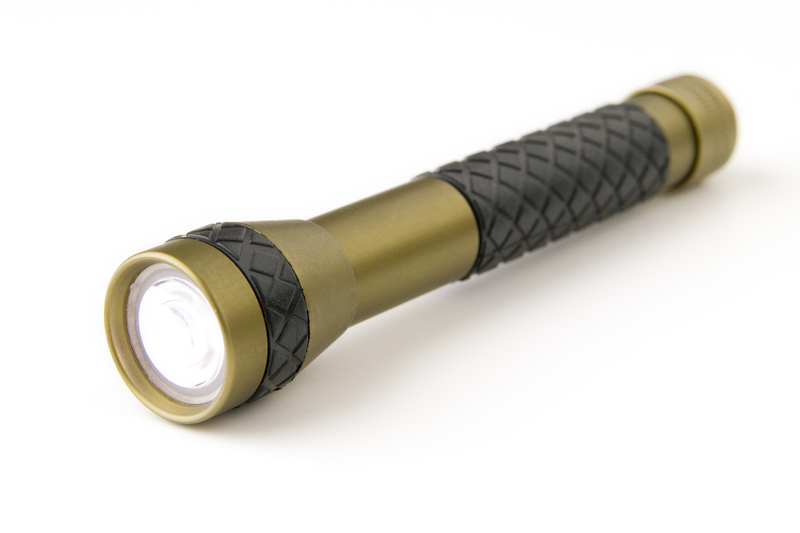 If the power goes out – and stays out during the night – a flashlight may be your best friend, especially if your home is not equipped with a generator. When considering a flashlight, especially for an emergency, it’s probably best to be prepared with an LED flashlight rather than an incandescent model. LED flashlights have been shown to have a great advantage over other types. The technology of LED flashlights allows the batteries to last approximately six to 10 times longer than regular flashlights. There may be other ways to keep your house lit during an emergency. One is with a round “puck” LED light that can easily fit inside cabinets, bathrooms and other areas in your home. Among the other items that you should have on hand well before a storm approaches is a portable radio. We don’t really think about them anymore because of other technology but if the power goes out, and you have no generator, a portable radio may be the only way for you to get vital information during a storm. Finally, you should have a list of the things you would need if a storm is about to hit. That list should include water, appropriate food and medicines and whatever else you might require should you be without power or cut off for a few days. Be prepared to fill that list while supplies last in the stores. We know after the experience of last year what could happen here in Gainesville. And one last tip – if the power goes out unplug your electrical appliances. You don’t want a power surge that can damage your electronics when the power is restored. Why do electric outlets get warm sometimes? Sometimes, when electrical outlets get hotter than usual, people don’t pay as much attention as they should because, usually, they don’t know that a change in outlet temperature could represent a problem. Unplug your electronics from the outlet. Have in mind that cell phone chargers and printers, for example, use internal transformers that change the voltage input warming the outlet, but never to the point that it’s too hot to touch. After you’ve unplugged the transformer-containing device, wait an hour for the outlet to go back to its regular temperature. To test that the outlet is working properly, plug a non-transformer-containing device and, if it doesn’t heat up again, then your electrical outlet is fine. Sometimes, the outlet gets hot even though nothing is plugged in. The reason why this happens is because most home circuits are wired in series. In other words, the electrical current used by one outlet might also pass through many others. As a result, an outlet might get hotter than usual because there’s an electrical overload. Outlets can overheat because the electrical circuit is carrying more current than it should. The most common cause of an overload is the use of a high wattage appliance or a combination of high wattage appliances. For instance, a toaster and a coffee maker being used simultaneously. 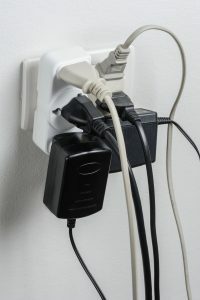 An overload can also occur when outlets are too old. Old outlets are dangerous because they could have loose wiring connections. For this reason, bad connections can generate fires. My best advice to you would be to find the circuit breaker that controls that hot outlet and turn it off. After doing that, you can give me a call, and I would be more than happy to go help you fix that problem to make sure your home is safe from danger. It’s that time of the year again where we get to celebrate the best of the best, our mothers. It’s an annual rite of spring and one of my favorite events of the year — the Gainesville Community Band Mother’s Day Concert at Trinity United Methodist at 3 p.m., Sunday, May 13. As happens every year, your favorite electrician will be right there, and instead of a screwdriver, he will have his trumpet in hand. This is my sixth year in the band, but I was involved in music long before that. I started playing trumpet while in elementary school and never stopped. In fact, this passion took me to the University of Florida as a music major. The band was founded in 1974 with 11 members, and today, we are more than 80 musicians. Our members include teachers, scientists, professors, students and other members of the community. Besides participating in the Mother’s Day Concert, we also perform at the Charles Dean Trumpet Memorial Concert, the James B. King Veterans Day Concert and Fanfare and Fireworks at the University of Florida to celebrate Independence Day. We also played at the Heart of Florida airshow and on the Walt Disney World’s Fantasy Land stage as their first nonprofessional adult concert band. I love being part of the band, and I especially appreciate the enjoyment our performances bring to the audience, especially for our Mother’s Day Concert. 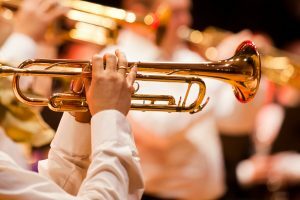 In case you’re interested, you can hear the Gainesville Community Band on our website, http://www.gnvband.org. Sometimes, we encounter unwanted visitors such as rats, squirrels, raccoons and mice who, unintentionally, can cause us electrical issues at home. One thing rodents have in common is that they love chewing our wiring system. The reason why they enjoy doing this is because their front teeth never finish growing. Therefore, the chewing controls the length of their incisors. As a homeowner myself, I understand how frustrating this situation can be. When it comes to damages, a rodent can cause permanent appliance damage by generating power surges and arcing. If chewing is left unchecked, rodents can chew your whole electrical system; and they can cause a fire because they leave your wires exposed. Limit access into crawl spaces under the home by sealing openings or using wire hardware cloth over ventilation opening. 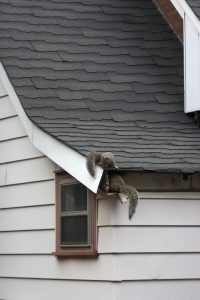 Limit access into attic spaces by assuring that soffits and exterior roof train have no holes for rodent entry. Limit access to your roof. 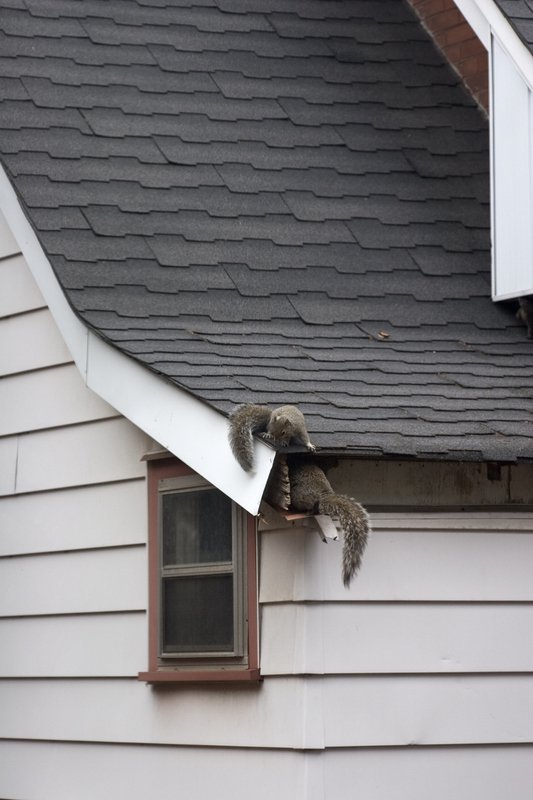 In other words, get rid of overhanging branches that provide rodents with the opportunity to climb or jump onto your roof. Leave your trash outside your home and in a separate container. Don’t leave dog and/or cat food outside as a convenient food source for unwanted animals. If you already have rodents in your home, the best thing you can do is to call pest control so they can take care of them. After that, it is very important to fix your wiring. If this is the case, please don’t hesitate to contact me. What is an electrical surge? A surge protector is designed to protect any device with a standard AC plug from damaging power surges and disruptive line noise transferred through the electrical wall outlet. Some surge protectors include protection for phone lines, network connections, and coaxial connections for cable, antenna or satellite TV reception. NOTE: Be careful not to confuse a surge protector with a power strip. They look very similar, but a power strip provides only an extension cord and additional outlets, with no protection against surges. How does a surge protector work? When the voltage rises above the accepted level, the surge protector suppresses the excess voltage to prevent it from causing harm. Specifically, internal components called metal oxide varistors absorb the excess voltage and divert it to the ground wire, preventing it from reaching the connected equipment. 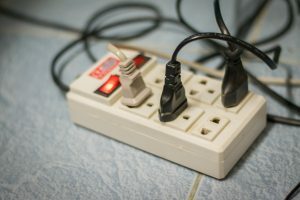 To function effectively, a surge protector must be connected to a properly wired and grounded AC outlet. Some surge protectors include LEDs that alert users to possible wiring problems. What should you consider when buying a surge protector? 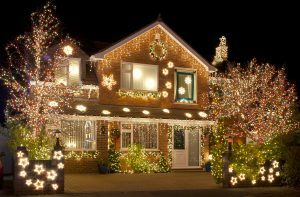 The holiday season is here, which means you are probably getting ready to decorate your home inside and out! Colorful lighting is a fun way to show your holiday spirit, but it must be placed with caution. If using old lighting, check the strands for cracked cords, frayed ends or loose connections. If using new lights, make sure to inspect them before use. Discard any that are damaged because they may be a fire hazard. Empty sockets may cause the entire string to overheat so replace them as soon as possible. It is extremely important to make sure you are buying the correct lighting for the conditions you are using it in. The same goes for extension cords. They can cut through the wire insulation and create a fire hazard. Instead use outdoor approved hangers. Sometimes we get lazy and leave lights up for months after the holiday season. The longer they stay up, the more likely they are to suffer damage, so remove them as soon as possible. Tangled lights can lead to damaged cords and empty sockets. After the holidays, wrap each string loosely around a piece of cardboard, fold fabric over it to protect the bulbs, and store it in a container until next year. If you have any lighting concerns this holiday season, make sure to call Eaton Electric. In recent years, the need for rechargeable batteries, also known as secondary cells, has grown due to the increase in portable technology. This includes laptops, cell phones, cameras and more. They have been around since 1859 when French physicist Gaston Plante invented the lead acid cell, which is the oldest type of rechargeable battery. Rechargeable batteries work by fully restoring its energy capacity when an electric current is applied to them. Just like we go to sleep every night to restore our energy for the next day. 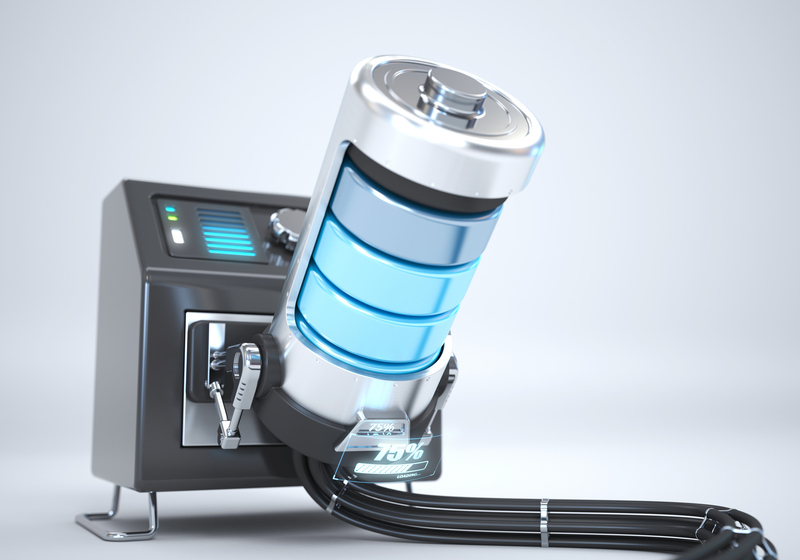 They are considered to be electrochemical cells, which produce a finite amount of energy, which once depleted can be recharged by reversing the chemical reaction with the aid of a charging current supplied by the battery charger. One of the most common secondary batteries, used primarily for storing large cell potential. These are commonly found in automobile engines. Its advantages include low cost, high voltage and large storage of cell potential; and disadvantages include heavy mass, reduced output at low-temperatures, and inability to maintain its potential for long periods of time through disuse. The nickel-cadmium battery is another common secondary battery that is suited for low-temperature conditions with a long shelf life. However, the nickel-cadmium batteries are more expensive and their capacity in terms of watt-hours per kilogram is less than that of the nickel-zinc rechargeable batteries. A less commonly used rechargeable battery, is capable of providing high currents, high voltage, and is equivalent in watt-hour capacity to six lead-acid batteries. These are commonly seen as the little silver buttons in hearing aids, tiny flash lights and so on. Because of its high energy density, silver-zinc batteries are used in missiles and torpedoes, electronics, satellites, and compact portable devices. Why do the lights in my house flicker or blink?